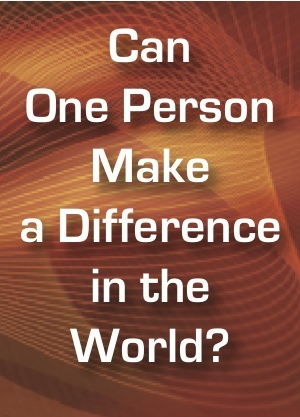 Don't have either the time or the money but wondering how 1 person can possibly change the world? » and far more powerful. To truly change the world, there is nothing to give, nothing to do. Just make sure everyone in your life knows how much they matter to you. Just make sure they feel joyous simply because you are in their life. This doesn't require any extra time. It doesn't require any money whatsoever. Yet, the difference you'll make in their life (and in your life and in the world) will be so profound that anything you can possibly do for them will pale in comparison. How did all this start? When did it start? How did it become this powerful international movement? What's the rest of the story? If you're a Church or a non-profit, here's how you can become better known throughout your community for the good you do in this world. You may not realize it, but even one conflict in your life reduces the quality of all your other relationships. And ... it disrupts peace in the world. What this means is that ... To change the world, you must start with you. You must transform all your relationships — at home and at work. Without your transformation, there can be no transformation of the world. This is your web site for igniting this transformation. Use this web site. It's FREE! 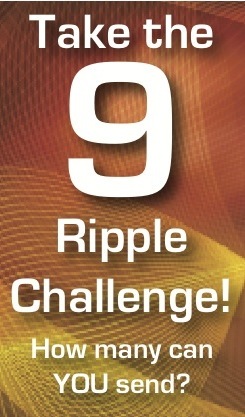 Send out at least one ripple every day. Don't stop until everyone you know feels great simply because you are in their life. » Spread the parable now! Take advantage of the special discounts for bulk purchases. Surround yourself with people — at home and at work — who are also learning to transform the world by transforming themselves! Gift each of them a copy of the parable, Yes, You Can Change the World. The parable doesn't preach. It doesn't force. It doesn't sell. 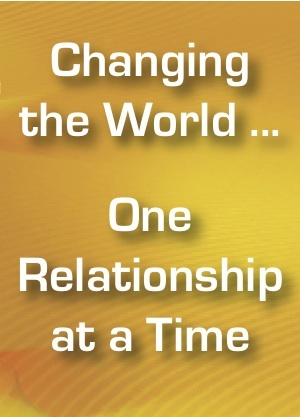 It simply illustrates — through heart-moving stories — how to transform yourself and all your relationships. It's a great way to pull your family together. Or, to pull your team together. It's a great way to bond with your customers — and with your employees. Did you know that businesses — from Fortune 500 companies to small ventures — have been using Yes, You Can Change the World to revolutionize how they run their business? This little book has been used to revolutionize leadership, teamwork, customer service, diversity training. CEOs, Vice Presidents, Sales Managers, Project Managers, Board of Directors are among those who're using the book to revolutionize their organizations. When is your business joining the revolution?